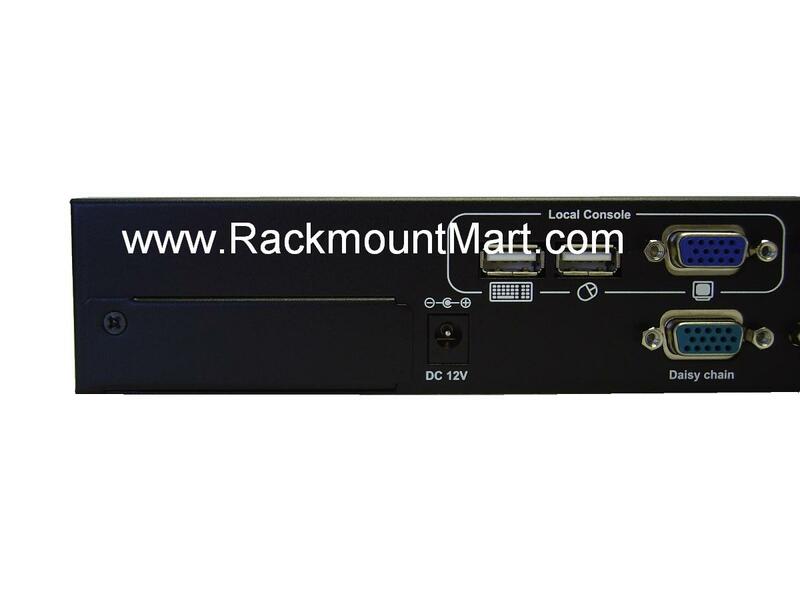 This KVM switch can control attaching servers and computers from local console. 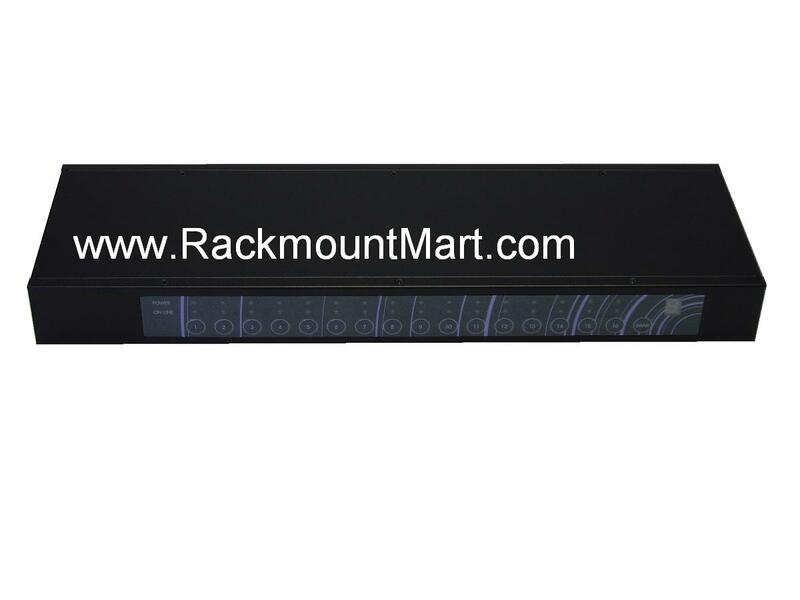 This KVM switch is loaded with features such as one local console port, plus one optional CAT5-based remote console port or one optional IP-based remote console Port, On Screen Display (OSD) Menu, Password security, Hot key Control, Push Button and Auto Scan Control. It has complete keyboard and mouse emulation for simultaneous PCs boot-up process. 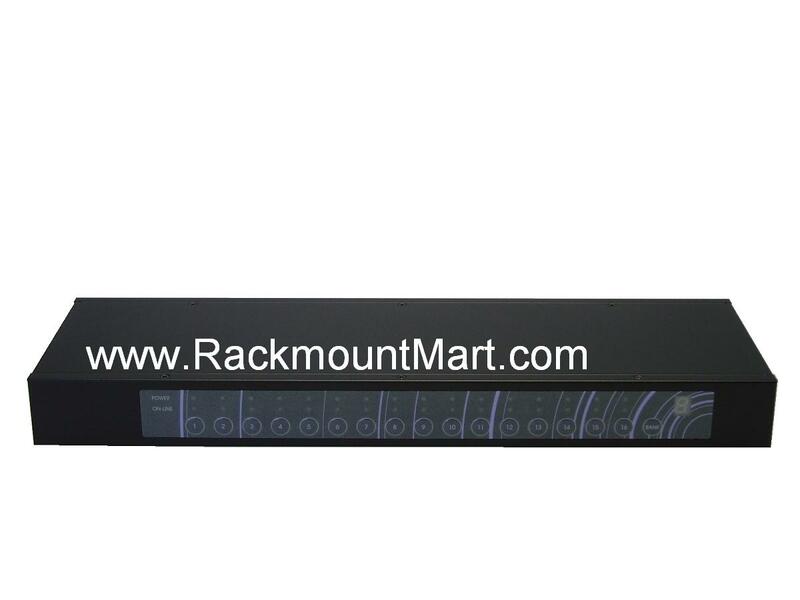 With the CAT5-based remote console port you can you remotely control servers and computers 1000 feet away. 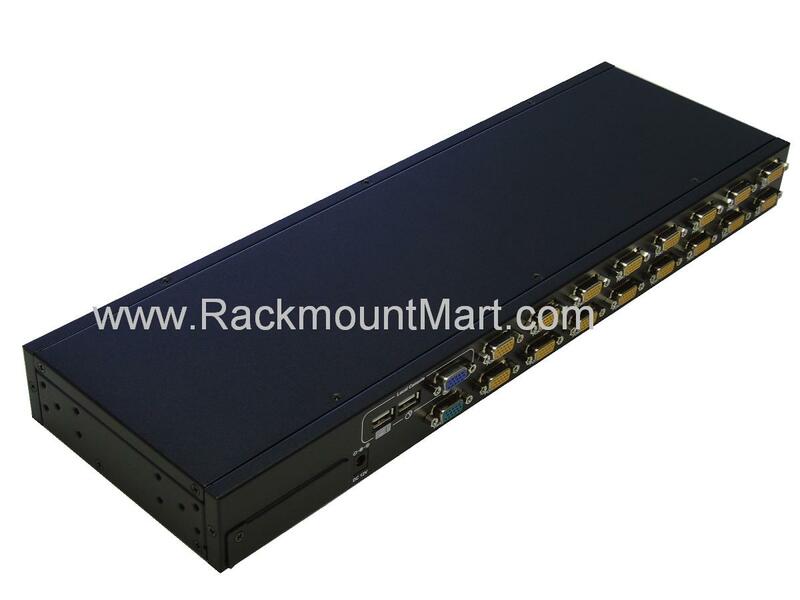 In other words, you can locate your monitor, keyboard and mouse up to 1000 feet away from the KVM switch. 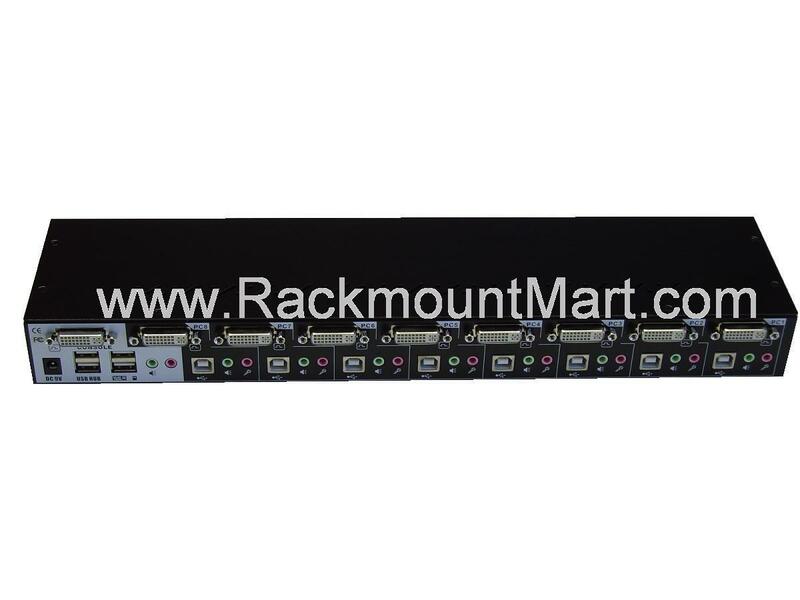 The built-in CAT5 transmitter synthesizes VGA monitor and keyboard/mouse signals, and transmit the signals to the remote CAT5 receiver over the popular LAN CAT5 cable. 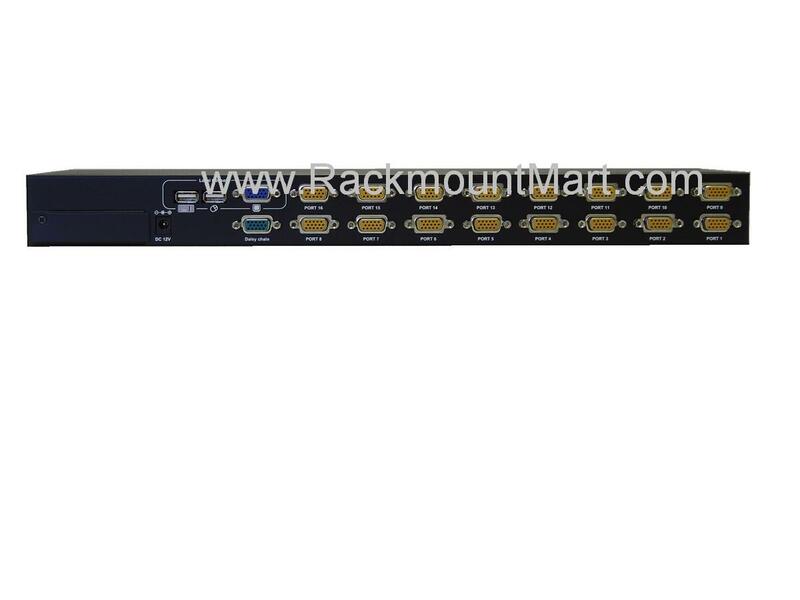 ▪ Provide various Hotkey (Scroll-Lock/ Cap-Lock/ Num-Lock/ L-Alt/ L-Ctrl/ L-Win/ R-Alt/ R-Ctrl/ R-Win) for switching omputer port and other control functions, so Hotkey function can be used in various types of keyboards, and to avoid Hotkey duplicate problem. Product images may be generic and may not reflect actual item purchased. Synergy Global Technology Inc is not responsible for any typographical errors. Specifications subject to change without notice. Legal.